Q: What cleaner is recommended for cleaning jewelry? A: Needless to say, jewelry looks its best when it is clean and can sparkle with its full intended brilliance. Jewelry cleaning occurs during manufacturing, prior to display in retail settings, and at home by consumers who want the best from their jewelry. We recommend use of our flagship general detergent, Alconox® Powdered Precision Cleaner. You can use a warm or hot 1-2% Alconox solution (1.25 – 2.5 oz/gal, 10 – 20 g/L or 2-4 teaspoons/quart) to clean by soaking or for best results, by ultrasonic tank cleaning. (Use concentrations at the higher range for heavily soiled applications.) Rinse and then dry thoroughly. 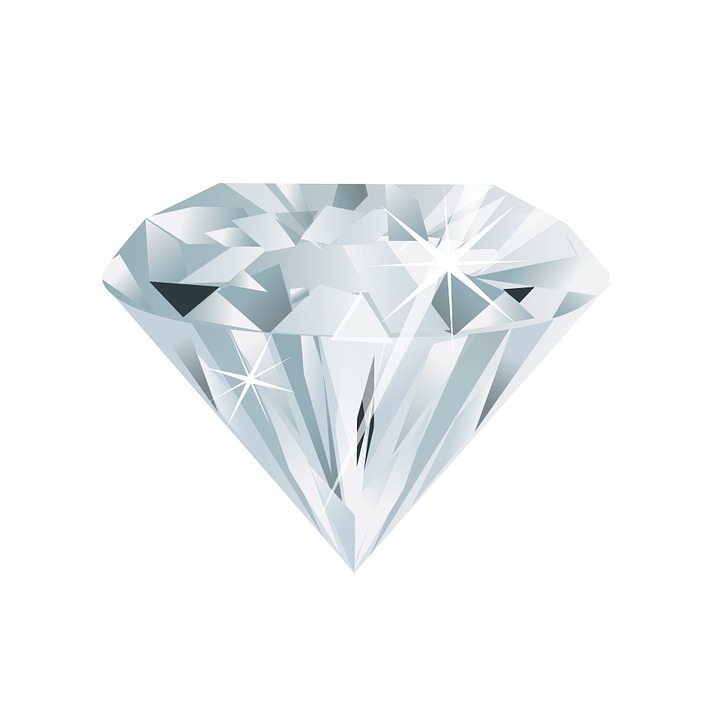 Particularly diamonds that have a hydrophobic surface that attract oils can lose their inherent brilliance if they are coated with process oils during manufacturing, or skin oils from handling. The strong emulsifiers in Alconox detergent are able to break the attraction between the hydrophobic diamond surface and the oily residues resulting in a pure, clean surface that refracts light as brilliantly as possible. 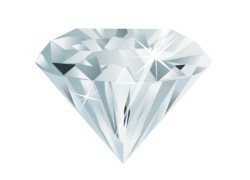 A freshly Alconox solution cleaned diamond can truly be a wonder to behold. Gold, platinum, and titanium will also be their shiny best with oils and particles removed from their surface. You would not want to clean soft gemstones such as opals. They typically come with a designated care kit. You want to avoid mixing silver, aluminum, brass, copper and other galvanically active metals together in the same bath so that you do not make mixed metal batteries and cause tarnishing in an electrolyte rich solution such as Alconox. Refer to our other article for mixed metal baths. While Alconox detergent excels at removing oils and particulates, it does not remove oxidation and tarnish on copper, brass and silver. For oxidation and tarnish removal, use a warm or hot 2% Citranox® Liquid Acid Cleaner and Detergent solution (2.5 oz/gal, 20 mL/L or 4 teaspoons/quart) by soaking or for best results by ultrasonic tank cleaning. Rinse and dry thoroughly.